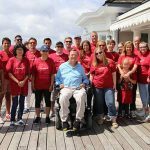 Sail To Prevail – The National Disabled Sailing Program hosted its sixth Annual New England Paralyzed Veterans of America Sailing Clinic on the weekend of June 21-22. 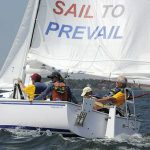 Fourteen participants enjoyed an extraordinary weekend of instruction, competition and recreational sailing aboard Sail To Prevail’s handicap-accessible sailboats. 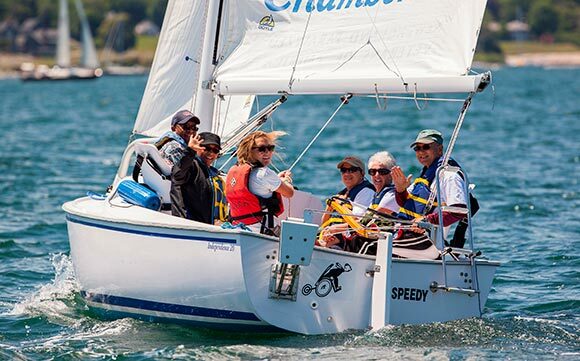 The sailing days were complemented with much camaraderie at the annual Saturday night banquet where Veterans shared their experiences from not only the weekend but also their days of service.